White Pepper is a popular variety of pepper, also known as pepper corn. White pepper is essentially the seed of the plant after the fruit is removed. The flesh of fruit softens and decomposes and is further rubbed for obtaining the seed. 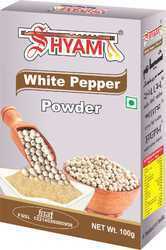 We have gained a remarkable position in the market that is involved in offering White Pepper Powder. White Pepper Powder is one of the most used seasoning in Chinese Cuisine. It has a mild and delicate flavor compare to black pepper powder. 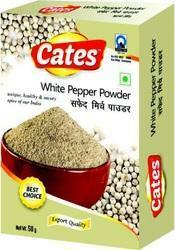 Our company has earned accolades in offering White Pepper Powder.